Tabs are designed for use with hanging file folders with 1/3 cut slots. Design features a firm grip for easy folder retrieval. Tabs include a strip of inserts to handwrite labels. 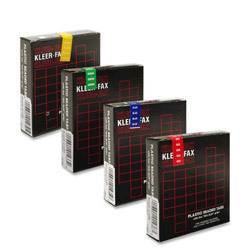 Green Index Tabs and Dividers from Kleer-Fax! 5 In Stock today.